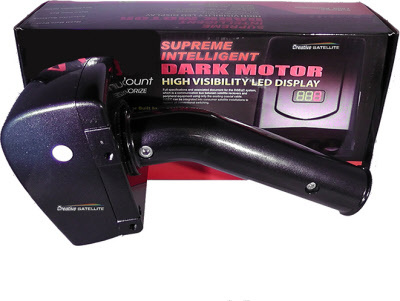 The Supreme Intelligent Dark Motor has a built-in LED Display that displays which satellite you are on, making installation a lot easier , quicker and more accurate even for a novice. Supreme Intelligent DarkMotor with Led Dispay and Metal Gear. It is low Noise and 50% Faster with Intelligent Finder Calculator built in ...Software protected. 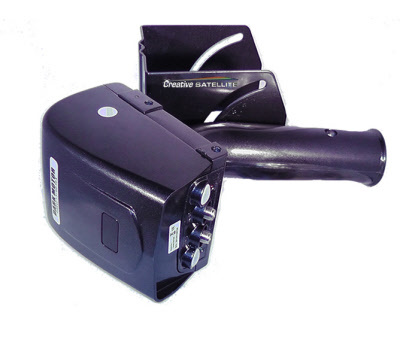 The Supreme Intelligent Dark Motor supports DiSEqC 1.2, DiSEqC 1.3 / Go To X / USALS protocols. The Supreme Intelligent Dark Motor uses Metal Gears. Antenna Size: 140 cm Max.